 The Scene Magazine - Page 4573 of 4579 - What's up Toronto? LOLA:Where does the material come from? WAYNE: We dont really know except we always keep our eyes and ears open for any peculiar situation or something that happens that might be interesting that we can turn into a song or a skit or whatever. So we just go around trying to be observant looking for interesting things around us. Also theres stuff that just comes out of the ether, what is an idea? Where does an idea come from? Who knows? You just get this thing that makes you chuckle, no doubt its a result of all the experience you had back there somewhere. I dont know how much deeper than that to go. KEVIN:How many things tumble around in the head? I think everyones head is the same. You just pull from everything youve seen, everything youve read, everything you hear and somehow its just all mixed around in there. Someones turning a big spoon around in there. WAYNE: Ive been called the odd time to commission or write a piece like a song or something. But Im just no good at that. I cant say give me the topic and I will get there and spew it out, that doesnt work for me. Its a lot of inspiration, most of the stuff I do, theres something inside me that drives me internally to do it. RAY:There comes a time when you have time to work on it. You base it on what you need to do. But when youre forced on something right away its doesnt work for me either that way. KEVIN:I tell you one thing about the creative process, I dont like thinking to start with. The best thing I can do is pour all of my ideas out without thinking, and the best time for that is the morning. Before you read news or see news or hear anything that would influence. it You just throw out a whole pile of ideas, if youve got time to lay them down thats great or write them down sometimes a little recorder is a good idea. Thats often the genesis of stuff; Ive often found that doing the dishes in the morning was good. Key things would happen Im always going on to myself muttering and singing. Things will happen right then in the morning and you say ohh yes! That fits right there in the show and thats what Ive been waiting for! KEVIN:Only this morning the same thing happened to me, I realized something about this part for Left Tenants Governors Tea so Ive got it inserted now. RAY:but for me now sometimes inspiration for tunes comes from what I do in the practice on the stage. Before we actually perform that night. KEVIN:and thats the excitement of having the instrument back in the hand! KEVIN:You have to be inspired and musical instruments do that for musicians especially if you fall in love with an instrument. Ray has an obsession with his B flat accordion, hes gonna have to be buried with that. RAY:It makes you wanna play more. LOLA:How did Buddy Wasisname And The Other Fellers come about? KEVIN:I had finished playing across town with another set up and Ray introduced me to Wayne and they had already been playing songs together. I was entertaining while they were teaching, so I was entertaining anyway. But increasingly we were finding ourselves doing weekend gigs together. I would say for 4 years from 1983-1987 we werent really committed to it as an occupation. Then in 87 the boys were trying to decide whether of not they should take that first year sabbatical leave. So they did and the rest is history. RAY:See we would meet in my classroom in school and practice. In 85 there came a big break when I was invited to Toronto (just myself) to take part in a caravan. I had mentioned to these people in Toronto that I had buddied up with two other guys and Id like to take them along with me. So they finally gave in thats when we got our first big break. KEVIN:Toronto was doing a series of ethnic pavilions, celebrating the ethnicity of the city of Toronto. So each one had their own the Italians had their stage the Greeks had theirs and the Newfoundlanders had theirs. Down on the Danforth area we had 10 days to entertain, 45min sets, 7 sets per day separated by 45mins each set 45 on and 45 off. RAY: And we came back with the best entertainment award. RAY:It did, it gave us the break. WAYNE:Thats what they say about the Beatles. Not to compare us to the Beatles!!! WAYNE:the Beatles went to Hamburg Germany and they had a two-year contract, playing in this club and they had to play like 5 hrs a day. Now they only had 17-18 songs but they still had to play. So that forced them to learn very quickly how to write, produce and practice, all this time with nothing to do but play music. So thats where they put in their 10,000 hours or so . KEVIN:We repeated that thing in 86 June of 85 and June of 86. It was very much the same thing, but they (those festivals) were instrumental in making us gel as a group, it was wonderful. LOLA:Do you guys regret quitting your teaching jobs for this? LOLA:Do you miss it at all? WAYNE:Not yet! Thats my answer every time. Almost 30 years later! haha not yet! LOLA:well I think you guys are the Beatles for here! Sold out shows every time you come back. So whats the deal with the once a year Arts and Culture Centers performances? KEVIN:Weve always timed it so that were about 18mths between appearances because we control the amount of exposure we have in any market. Its the same wherever we go, 18 months. RAY: It allows us to have some new material ready to come back to. WAYNE: So people always get the feeling that theres new material being produced and they want to be part of it. Because if you go back too quickly and you havent turned over the material, then theyll say well I saw that show so Ill skip the next one. So its a real balancing act. KEVIN:Its not what you see with a lot of bands because theyre playing the bar circuit, so thats impossible. We had the luxury of starting right away doing theatres and auditoriums. It was our choice too! Its all a matter of choice when youre just starting. You see the boys werent relying on it for money they were still teaching. We had the option, we thought we dont have to do clubs and pubs, well stay out of that. WAYNE:People thought we were crazy! Fellow musicians just kind of laughed at us. All they did was spend 20 years in pubs and clubs ya know? But we just stuck our necks out bye! Kevin was the first, he said Geezus byes were not gonna play clubs and pubs are we? KEVIN:I had been playing 3 and a half years in clubs and that was when people smoked inside. There was a lot of crazy drunkenness. I was doing an act with Chris Elliot and we were doing insane hours, I just didnt realize it (pause) wed go through it and probably do 6 weeks at a time without stopping. We might get one night off a week, but all of that in smoky bars. I came away from it thinking, No I cant do that ever again. KEVIN:No its not! I was killing myself and I knew it. LOLA:Are you still enjoying it now? WAYNE:Were still having fun I look forward to it every night. RAY:I just feel theres more presence from all the young people along with the older people who are dedicated to what we do. But its always turning over this new stuff that makes us eager to want to get in there. KEVIN:It feels good too when we see the young people coming. We have a good audience of young people especially when we go out to western Canada. Theres a lot of loyalty out there. The working class people you know all the people whove left Newfoundland for work. Theyre all out in western Canada mostly, but they come to our shows. The kids from generations of people whove moved away too are coming to see us. LOLA:From my age group we grew up listening to you guys and were gonna pass it on to our kids. KEVIN:I do think that we have something important to offer. I see what Rays been doing with the music and Waynes songwriting, especially the songs, theyre gonna live on. That will be a part of Newfoundlands traditional music, that will be the stuff that people look back on and say, This is what Newfoundland music is. I think its very important to preserve our traditions. WAYNE:Theres people who ask us in interviews do you feel like youre ambassadors from Newfoundland and we say no not at all. We do not try that, when we got together it was to full fill a need. It was to produce and to play music and make a living at it. But our primary purpose is to entertain. And it just so happens that when we do it, its about this place because everythings drawn from this place. So we go across the country and just do what we do. Years ago an agent in Toronto, who was working with us, said, do you think you can broaden your material or change the material so that you can have a wider fan base? And we said no. KEVIN:You cant be something your not. You dont ask and Irishman to water down his Irishness. Its a bizarre sort of thought that you would want somebody to be something other than what they are. You could try to homogenize and put the company hat on, and get in that great wash of country singers and put on a fake southern twang ya know? KEVIN:But that just doesnt work for us. WAYNE:To go even a step further were bay men. We live around the bay and what we produce is based on bay culture for the most part. Now it just so happens that there are enough people in St. Johns who were from the bay or have relatives around the bay and theyre connected to bay in some kind of way. St. Johns is 90 percent people who are connected to the bay and therefore our stuff appeals to them. So we can come to St. Johns and play for 10,000 people. LOLA:How is it different playing on the mainland? Is it a different show? Does the audience get it? KEVIN:Theres always a change. If you dont get enough Newfoundlanders in the audience, it becomes quieter. RAY:Because they listen harder cause they dont get the subtleties! RAY:Its not the same where as us Newfoundlanders ya dee ya dee ya dee (talking fast) they get everything! KEVIN:Cultural connections too sometimes they just dont understand. WAYNE:It is a testament to what we do sometimes we play for 500 people on the mainland with only maybe 20-30 Newfoundlanders. And they hire us, whether it be doctors or lawyers to play a party for them and they enjoy it. We do the same venues as all those (big) national groups. So I guess the material stands up and they hire us because theyre interested in our culture. Theyre interested in Newfoundland culture. RAY:These past few nights weve had people come from the United States to see us. WAYNE:One family 3 times they drove from New Hampshire to see us. And thats really common in Ontario weve had a lot of Americans come up to see us play Stage West and places like that where weve played. Theres a family called the Sullivans in Indiana. They come every spring to our show and bring their family. They drive 14hrs to see us. KEVIN:I think too we look to American culture because its so America. For example we love to hear bluegrass music, dont expect them to homogenize, we wanna hear blue grass! KEVIN:And I would travel to see good blue grass any day! WAYNE:And let them come and see us. KEVIN:Thats what theyre doing their coming to see a unique Canadian Newfoundland act. LOLA:Thanks guys and good luck with the show! KEVIN, WAYNE & RAY:Anytime thanks!